Why because of a TV show, Japanese whisky might be soon out of stock ? Over the past 10 years, aged versions of Hibiki, Yamazaki, Hakushu and other Taketsuru, Yoichi or Miyagikyo collected many awards in the most famous international competitions, inducing a growing number of bottles sold overseas and consequently a rapid but more or less controlled depletion of old whiskies stocks used into the composition of all the aged versions. 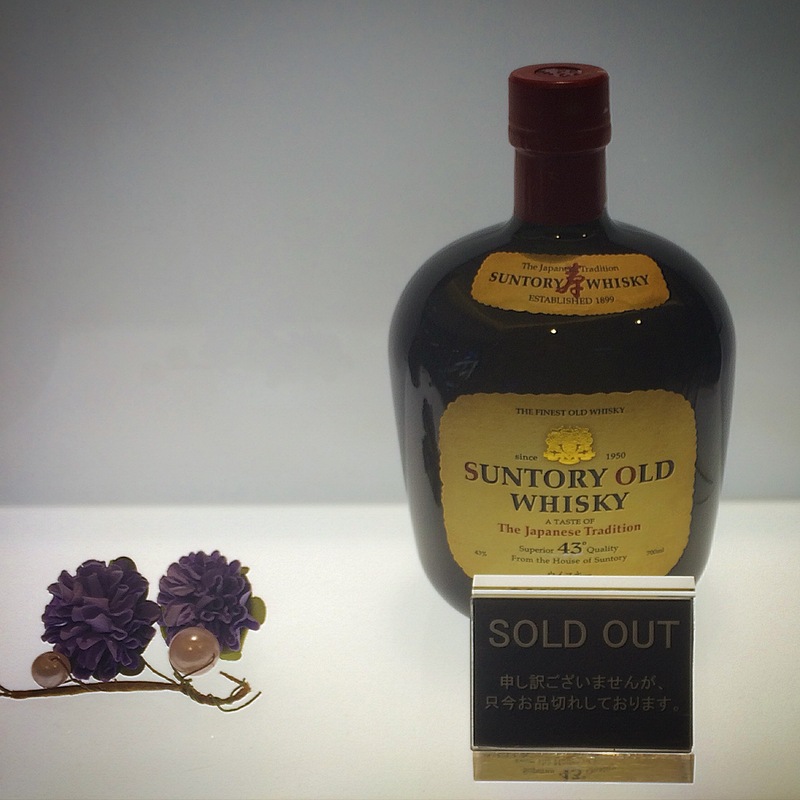 To make up for this inexorable scarcity of old whiskies, Suntory had already begun to prepare a strategy by integrating into its permanent range of whisky both Distiller's Reserve, and recently the Hibiki Japanese Harmony, but also by increasing the price of all its aged products in order to reduce the depletion over the coming years. 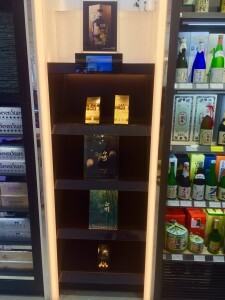 But since a few months the success raised by Massan changed everything in Japan, creating for Japanese people a renewed interest in their domestic premium whisky that precipitated the 2 main producers, Nikka and Suntory, into critical situation that they had not really anticipated, at least not with such magnitude. Since then, Japanese people were not really concerned about these older versions, which despite high prices are still sold like hotcakes in Europe and all around the world. 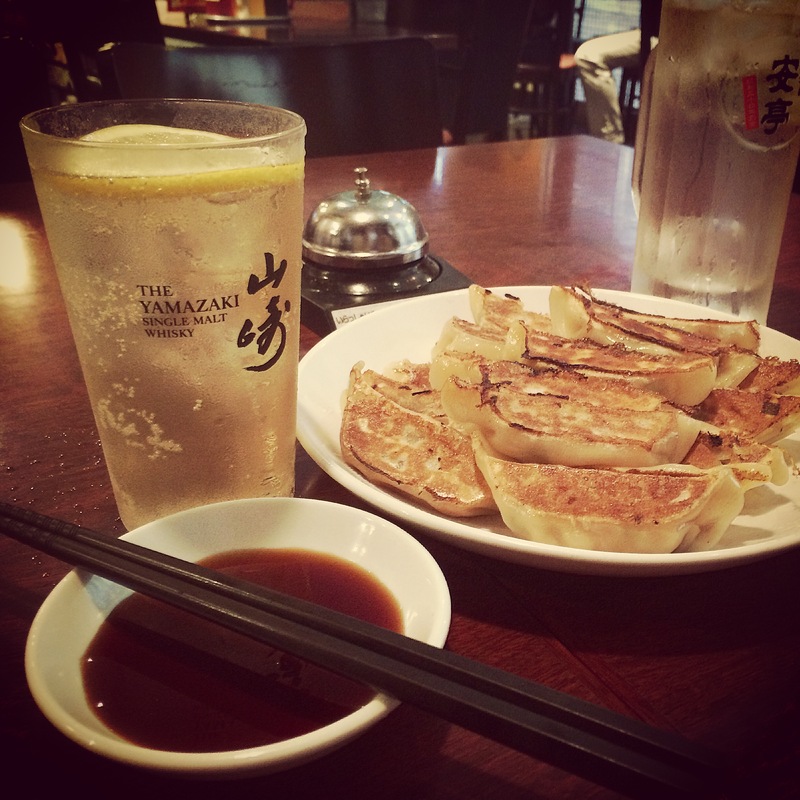 In fact, because of cultural reasons, they generally consume alcoholic beverages accompanied by food. Consequently, the most acclaimed whisky consumption way in Japan is the highball in which whisky is mixed with sparkling water and lot of ice in order to be served during the meal (more info on the Highball). Whisky highball consumption is widespread on the archipelago, leading Japanese people to preferably consume no age statement or less than 10 year old whiskies such as Nikka Black or From The Barrel, Suntory Old, Kakubin or Torys, and many others, that they easily find in supermarket or convenience stores at very affordable prices. Now you can easily understand why they were not much interested in using a 18 year old Yamazaki or a 15 year old Yoichi as well as a 21 year old Hibiki or Taketsuru in order to prepare themselves a good highball ! 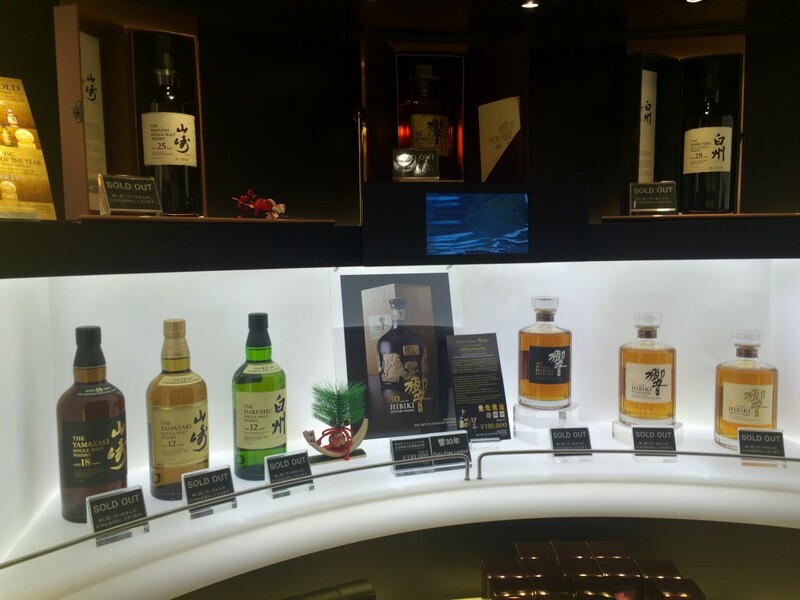 That is why until now Japanese market had shifted some of the best single malts, blended malts and blended whiskies in the world, to the delight of the foreign market, whose demand is increasing year by year. Since a few weeks in Japan, all spirits industry professionals have only one word in mouth : "Massan". When you go to liquor stores in quest of a good old Japanese whisky, you will mostly find no age statement versions and only a few bottles of aged whiskies. All employees will tell you the same thing with a large embarrassed smile ; "Oh sorry ! No more japanese whisky ! Massan !". Massan is an "Asadora", the famous TV shows broadcasted every morning on NHK which fascinate Japanese people as much as TV novelas passionate South American people. 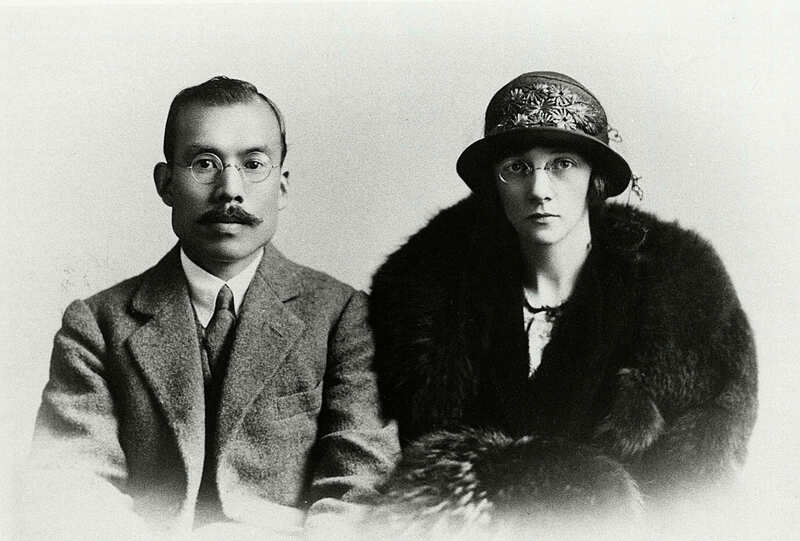 The story is strongly inspired by the life of the mythical couple formed by Masataka Taketsuru, founder of Nikka and his Scottish wife, Jessie Roberta "Rita" Cowan, met in Scotland in 1918 during a study tour on whisky making and distillation process. The story, which begins after they came back from Europe when Taketsuru was founding Nikka and its first own distillery, is taking place around the love story of the protagonists during the beginnings of Japanese whisky production. 150 Massan TV show episodes where broadcasted from September 29, 2014 to March 28, 2015. This beautiful love story of a brilliant Japanese globetrotter named Masaharu (played by Tetsuji Tamayama) and Ellie a Western beautiful girl (played by Charlotte Kate Fox), immediately appealed to Japanese viewers who, suddenly interested in the history and expertise of their whisky producers, have truly thrown themselves on Nikka and Suntory aged whiskies in order to taste it. The domestic market demand for premium Japanese whisky jumped rapidly causing the delicate situation suffered by the two brands today. 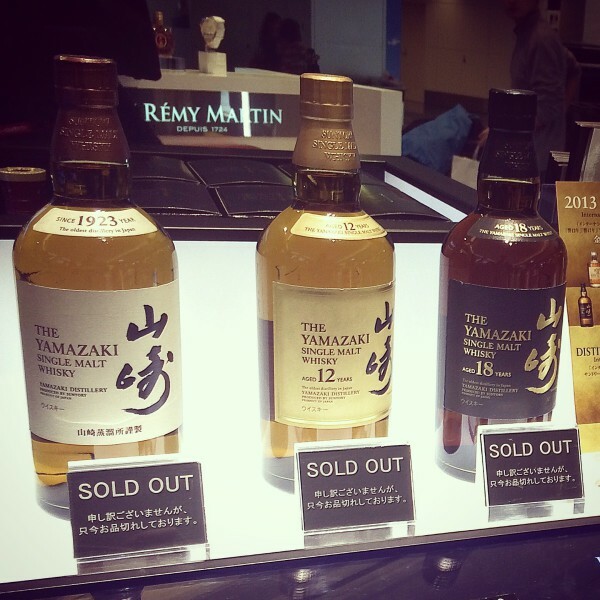 But don't worry, Japanese whisky is not ready to be definitively sold out ! Right now Japanese distilleries are working hard and some of them have recently increased their production capacity in order to satisfy the worldwide strong demand in the coming years. Furthermore, all no age statement and under 10 year old whiskies, mostly considered in Japan as daily beverages, are not really affected by this old whiskies depletion. But until the whisky distilled today is mature enough to produce aged versions in large quantities, the Japanese market is and will remain out of stock of aged single malts, blended malts and blended whiskies. In Tokyo's liquors shop, for example, one can still find a few bottles of Nikka and Suntory aged whisky ranges, but for how long ? 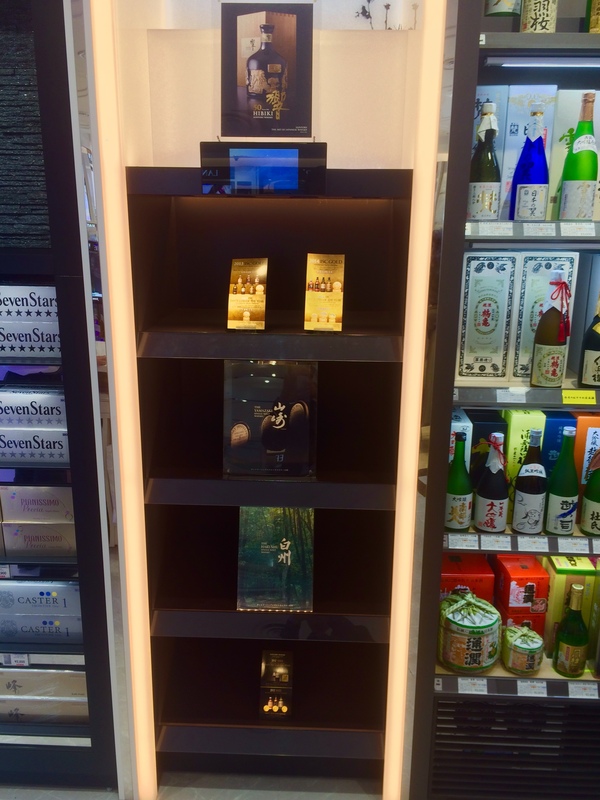 Duty free airports are almost empty and yet no longer able to stock up on large quantities. And it's surely the sad fate reserved to stores with a little stock remaining. 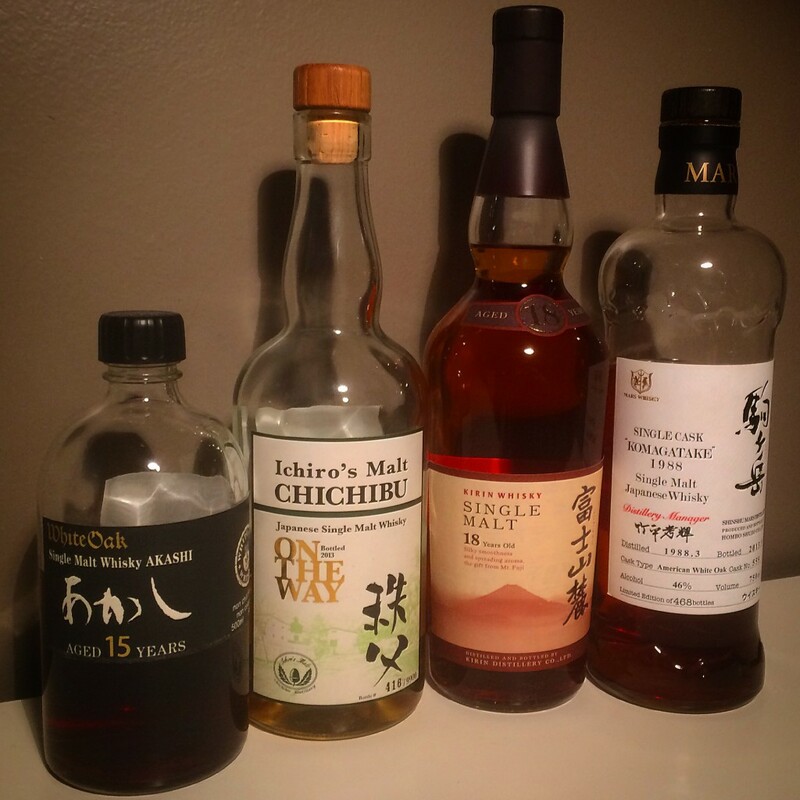 It's important to understand that this worrying situation especially affects older ranges of 2 main producers, Nikka and Suntory, others such as Ichiro's Malt, Mars Whisky, White Oak or Kirin seem rather spared even almost advantaged by harvesting fruits of the new Japanese interest for their whisky. This is maybe the positive effect of this situation ; small brands that produce only small series but flowing now more quickly, perhaps will finally have a chance to stand out and get out of the shadow of the two great founding brands. But the earthquake in Japan caused by Massan will be unfortunately followed by a tsunami in Europe and in the rest of the world which will result in a similar situation to the Japanese market in less time than you think because it seems that the taps have already been tightened for exportations. However, the crisis does not seem to have really reached the European market where sellers still flowing stocks already imported from the archipelago. But this appearance is misleading because there is a good chance that the next restocking from Japan arrive in very limited quantities. Unfortunately until the stocks of old whiskies ever be renewed, older versions will become rare and difficult products to get, unlike no age statement references whose availability will be the same that previously. With being a victim of a recent and unexpected interest from Japanese people and a success abroad constantly growing, Japan distilleries will they manage to get through this major crisis ?